This is the final frame of a comic series drawn by Floris Desmedt and myself. 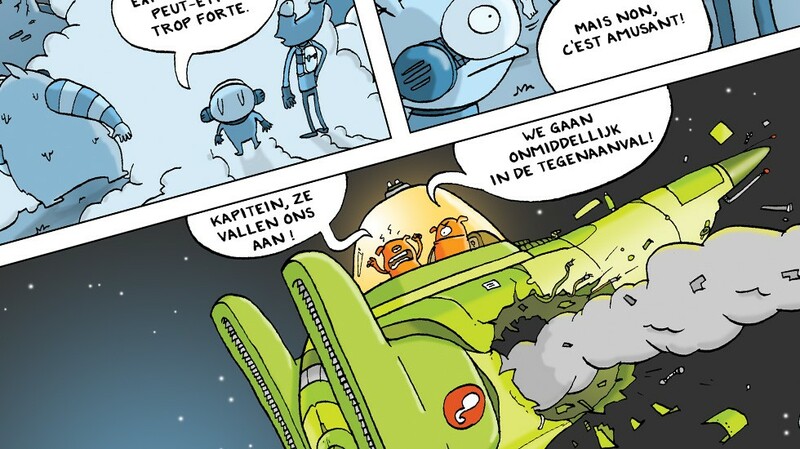 It was published in a childrens magazine called Farfelu published by Van In. It ran for two years, then the series was stopped when the magazine was discontinued.